August 23rd, 2013 – Today is the last day of camp. The view from my office window is of a beautiful blue sky, white church and Swasey Parkway in Exeter. I am imagining the “hub-bub” of camp as another wonderful season ends. Children’s excited chatter, camp songs, staff Hi-Fives and bugles soon fade. The transition from camp to school age child care comes again like the swing of the pendulum. I have been blessed to be a part of this magic for 25 years. I have experienced up close the sights and sounds, smells and dust of camp. I have watched campers become staff, my own children included. I have shared the joy as a few staff became husband and wife and then parents. I watched from my window as the staff “kids” and hundreds of campers grow each year learning the lessons of nature from the shores of Kingston Lake. Within my job description I have been able to dabble in my gardening hobby – yes, hard at work at the Y. I was extremely surprised this summer at the July Community Night to be honored for those 25 years of service. Rob spoke of all the people’s lives I have touched, but I see the flip side. I have so many memories of all the children, parents and staff that have touched my life. Some have passed through for new adventures while others are forever friends. 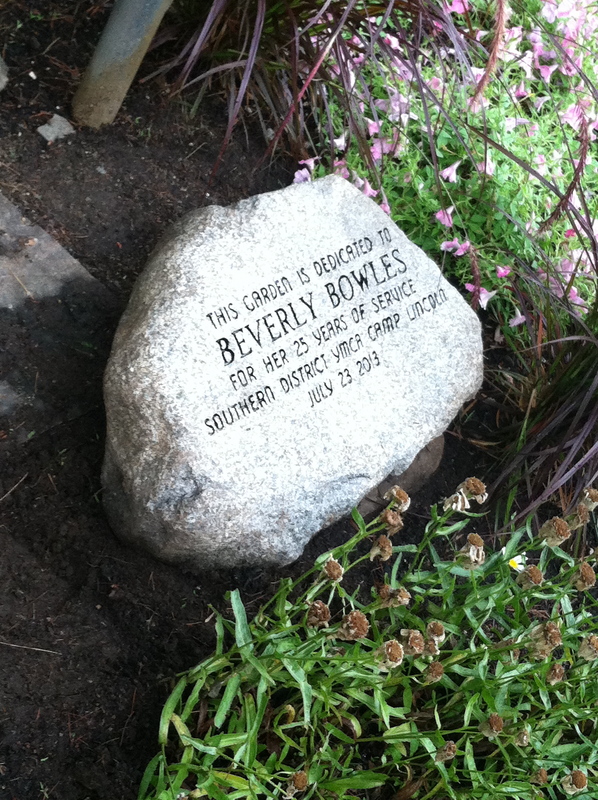 My rock adorns one of the gardens for all to see – thank you! Southern District YMCA/Camp Lincoln has grown so over 25 years! I arrived to a small summer camp and just a few school age child care programs. Slow and steady we have progressed, added and improved to become the amazing organization we are today. The YMCA foundation is built on the roots of Honesty, Responsibility, Caring and Respect and they have served us well. Just as my office view has changed from the up close and personal of camp to the expansive landscape of Exeter and beyond, the vision of our Y is extensive and expanding. Be it camping, child care, outdoor education or building a new facility, I can only imagine the positive influence SD YMCA will extend to the community in the years to come. Year #26 … bring it on! It is typical of a large organization to ebb and flow with time. Campers grow up, positions change, new programs begin, employees move on. 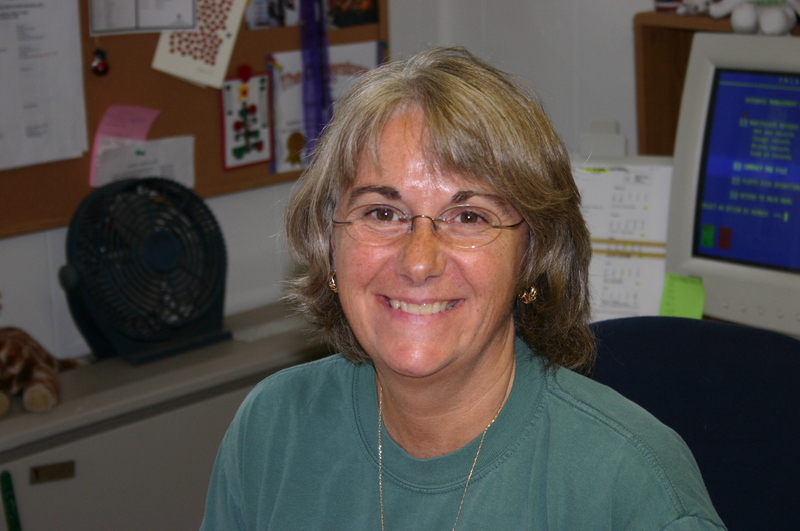 We are fortunate this year to celebrate Beverly Bowles for 25 years of service to Southern District YMCA/Camp Lincoln. Executive Director, Rob McGregor, described Bev as the steady anchor in our organization, and spoke of Bev’s wonderful impact on the YMCA at Community Night at Camp Lincoln last month. Bev’s passion for gardening is evident in the multiple flower gardens that she has created over the past 25 years. It is certainly appropriate for a beautiful flower garden that overlooks Kingston Lake to be dedicated to Bev for her 25 years of service. Congratulations, Bev! 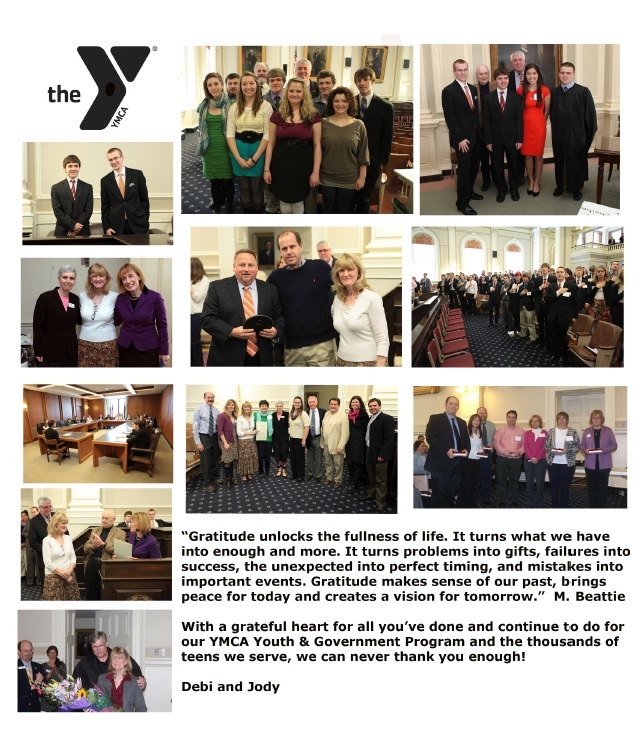 Southern District YMCA received a final Thank You from the organizers of Youth and Government, a YMCA program that prepares participants for moral and political citizenship in local, state, or national government roles. We were honored to work with dedicated volunteers and intelligent, engaged students. Thank you to everyone who participated! We look forward to next year’s Youth and Government program. Southern District YMCA has received a $3,000 grant from Precor to support efforts to help children throughout Southern New Hampshire live healthier lives through the implementation of the Y’s Healthy Eating and Physical Activity (HEPA) standards in early childhood and afterschool programs. Adopting these standards is part of the Y’s commitment to first lady Michelle Obama and the Partnership for a Healthier America to help curb childhood obesity. Committing Ys to conducting parent education to encourage healthy behaviors at home. The Southern District YMCA is one of 50 YMCAs to receive a grant from Precor as part of the $300,000 gift to YMCA of the USA, the resource office for the nation’s YMCAs, to support the implementation of the HEPA standards in YMCA before and afterschool programs. Locally the funding will be used to support infrastructure opportunities such as purchasing supplies and equipment, and staff training that can help the YMCA to provide a healthy, sustainable environment in every before and afterschool site. 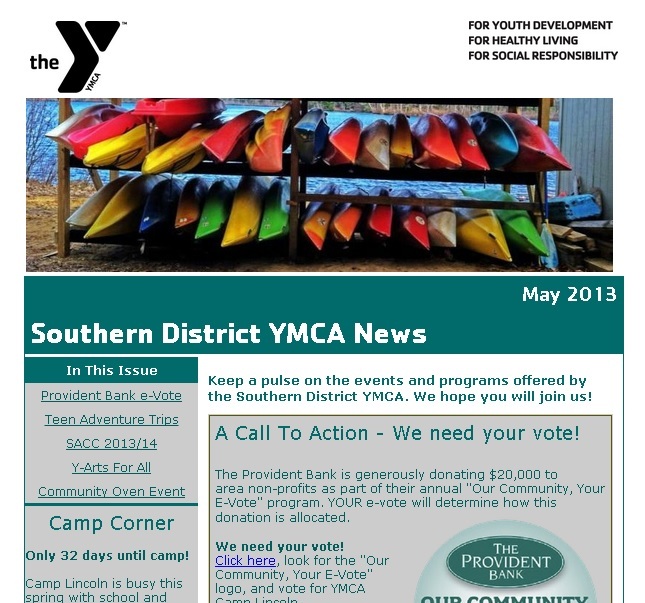 Did you know that the Southern District YMCA sends a monthly e-Newsletter? This newsletter includes program updates, registration information, invitations to community events, and more! Sign up now to begin receiving our monthly news! We are fortunate to live in a place where people believe in helping neighbors, supporting local business, and strengthening the children and families in our community. The Provident Bank is generously donating $20,000 to area non-profits as part of their annual “Our Community, Your E-Vote”. YOUR e-vote will determine how this donation is allocated. We need your vote! Southern District YMCA/Camp Lincoln serves thousands of children every year. With School Age Child Care programs in 15 local schools that meet morning and afternoon of every school day, and YMCA Camp Lincoln summer camp that rounds out the non-school days of summer with full day programming, a child in southeast NH can spend their entire year meeting new friends and engaging in fun, educational, and active YMCA programs. That is if they can afford it, right? Wrong. Southern District YMCA does not turn any child away for inability to pay. Now let that sink in for a minute. We would not be able to offer such diverse options for programs, to so many children and families, without your help. We need your vote. Click here, and vote for YMCA Camp Lincoln. Do it today, and then share this blog and ask your friends and family to join you. Help us grow our community impact by increasing the depth of our Scholarship Program. We are a strong community, and the Southern District YMCA is honored to be a part of it.